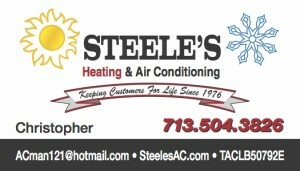 Steele’s Heating and Air Conditioing is proud to announce our financing options provided through Wells Fargo. We offer lost of different terms and will look to find the plan that best suites your needs as a customer and homeowner. Subject to Credit Approval. Ask for Details before applying. When you upgrade your system to a higher SEER rating your electric bill will go down possibly making the payments using our Power saving tips.